The sheer blackness of it. The hundreds of subtly different shades one can produce with it. The unpredictable way it spreads and branches out when applied to wet paper. Its true beauty unfolds when dropped into a glass of water. The first drop will only break the surface tension and remain perfectly two-dimensional, its patterns resembling annual rings. 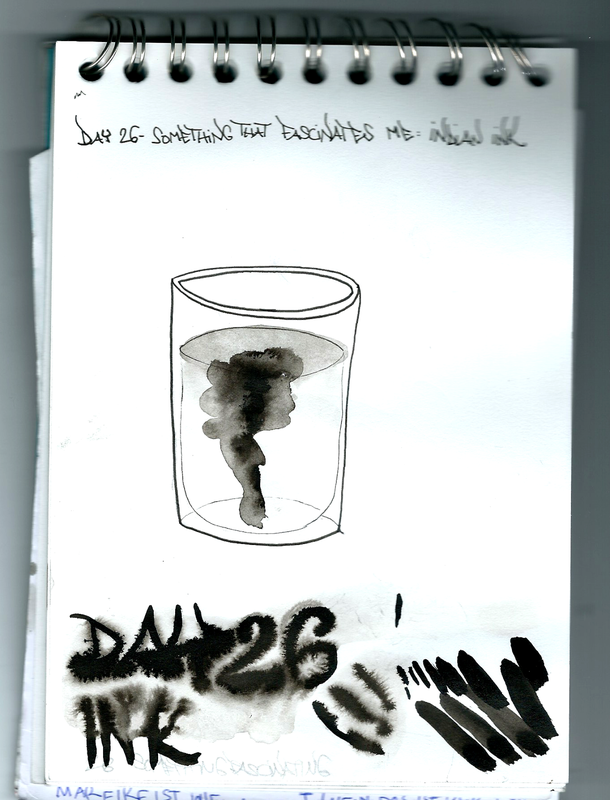 The following drops will unfold into meanders of black smoke, slowly sinking down to the bottom of the glass. I could stare at it for hours.